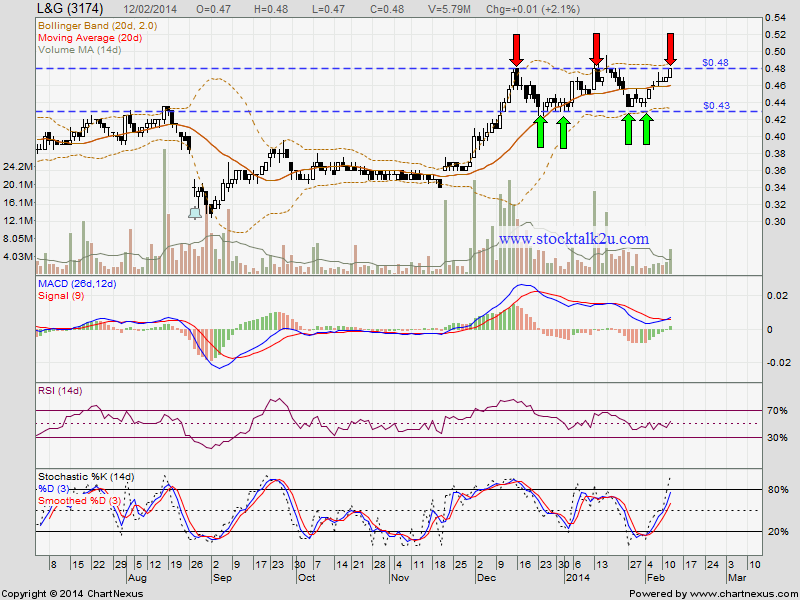 L&G (3174) retest RM0.48 resistance level again. How about this round? Will it breakout the resistance? Strong support @ RM0.43 level. Once breakout RM0.48, another new high record been formed, we may drive through the trend.